Now that our oven is back and working (after 2 months of no oven), I did a bunch of cooking over the weekend! The first thing I did was poached eggs. I’ve never made poached eggs before but they are something I really like and wanted to give it a try. It was kind of a lazy Saturday. I didn’t have a workout session booked at The Warrior Room and no plans for the day so there wasn’t really a pressing need to get up and going quickly. 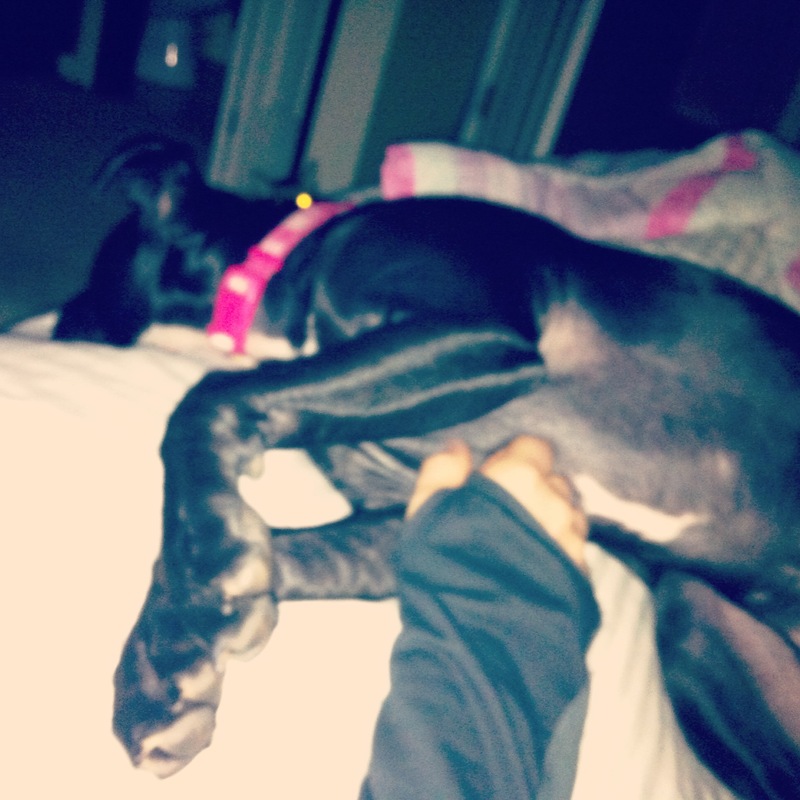 Michael and I laid in bed, with Bella in between us for a little bit. Usually she’s in her crate but he’d gotten up to let her outside kind of early. Michael wanted buckwheat pancakes for breakfast but we were out of milk. Poached eggs instead! We used the recipe from Smitten Kitchen and it worked GREAT! 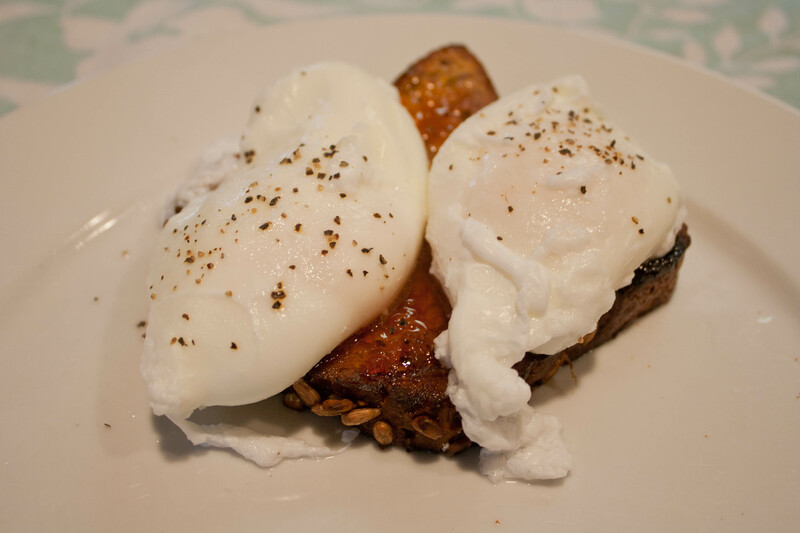 I toasted some gluten-free bread and put some habanero jelly on mine, then topped it with two poached eggs. It was so delicious! Next, after the gym and some errand running, I made gluten-free chocolate chip cookies. It was my first attempt at chocolate chip cookies (which I’ve missed terribly) but not my first attempt at gluten-free baking. I’ve tried a few things that were hit or miss and some complete failures. I tried this recipe because every review said the cookies were great. That had to be a good sign. 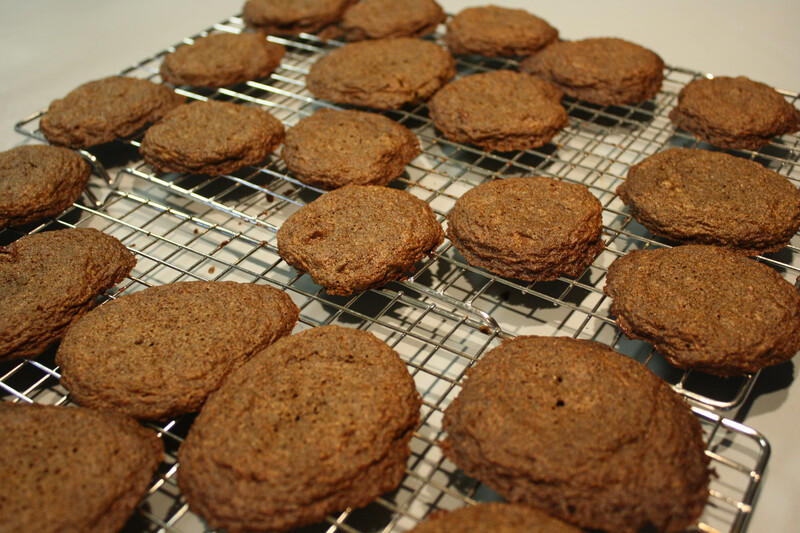 Note- I used Pocono Mills Light Buckwheat Flour in this recipe with good results but substitute your favorite gluten-free baking mix if you prefer. The “batter” was a little dry. Like too dry and crumbly. I added 1 tablespoon of water and instead of 1/2 a teaspoon of vanilla I added a full teaspoon. That made a huge difference and it was finally the consistency of cookie dough. I used 1/2 of the Trader Joe’s Gluten-Free All-Purpose flour and the rest was the buckwheat flour. I’ve learned from past GF baking mistakes that using just one kind of GF flour doesn’t really work. Blending several kinds works better. I also used 1/2 light brown sugar and 1/2 dark brown because that’s what I had on hand. How was it? The cookie dough was black. 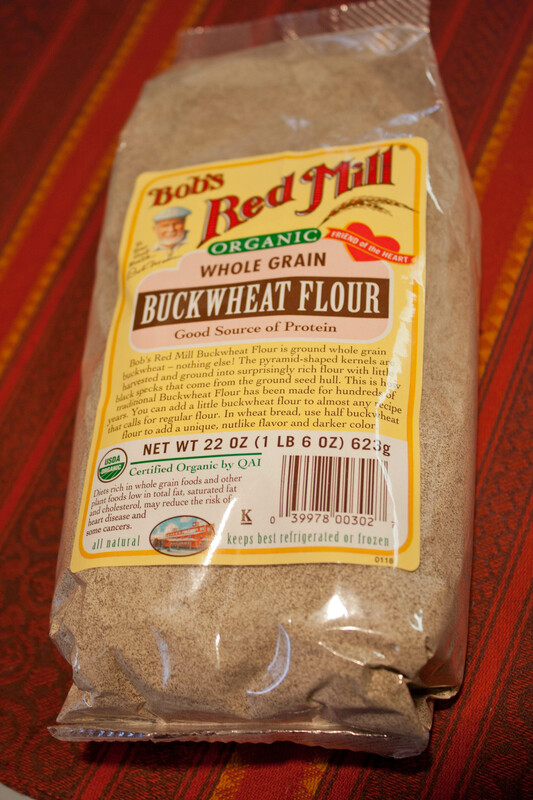 That was from the buckwheat flour. It was a little disturbing. I did a taste test and the dough tasted just like regular chocolate chip cookie dough. It was delicious but with a hint of a grainy texture. 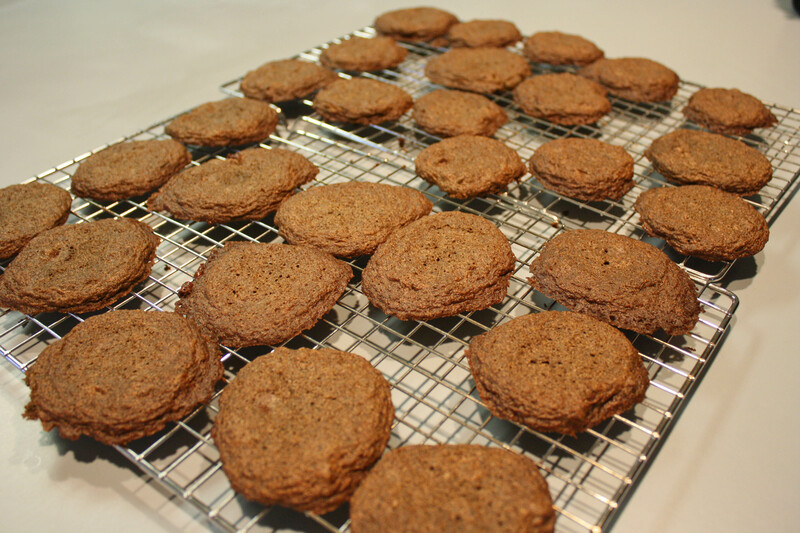 I baked them about 11 minutes long, let them sit and set up and then we tested the cookies! They were great! The chocolate chips were gooey, the cookies were moist and flavorful. That grainy texture the dough had was gone. I just wish they weren’t so flat. 🙁 I got 31 smallish cookies out of this recipe. 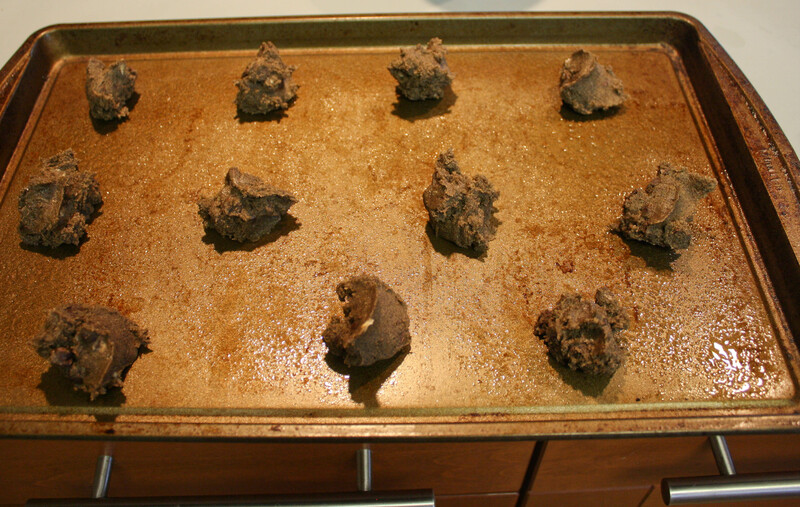 The cookies flattened while cooking and became larger than what I was expecting. So if we DO want really tiny cookies, make the dough balls even smaller. The next thing I cooked was dinner. It was an old favorite of mine that I used to make a lot but haven’t made it in years. I’ve never made it for Michael, either. It’s a good, hearty, comfort-food kind of meal. In a 2 quart casserole dish, mix the cream of mushroom soup, water, pepper, paprika and rice together. 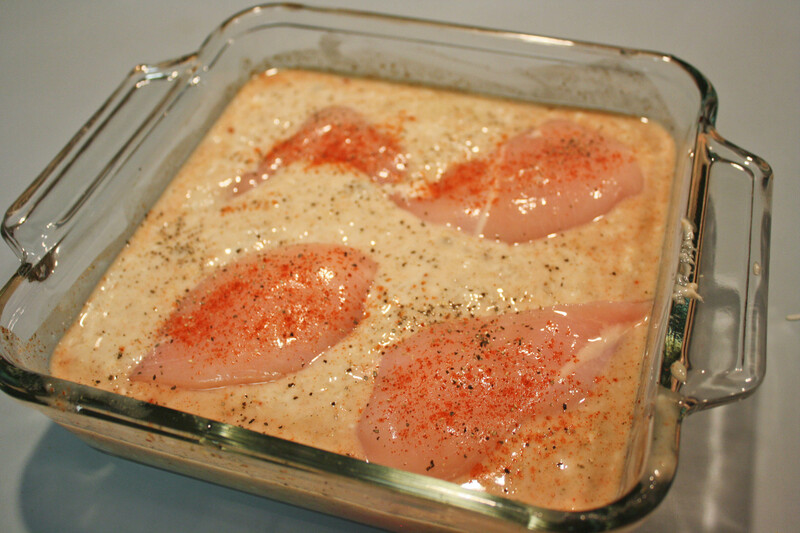 Place chicken on rice and sprinkle more pepper and paprika on top. Cover and bake for 45-60 minutes, or until chicken is done. This is a great recipe because it’s only a few ingredients and it’s things I always have available. It’s also really versatile. You can use brown rice, jasmine rice, white rice, wild rice is tasty, too. Also, don’t worry if you don’t have cream of mushroom soup. 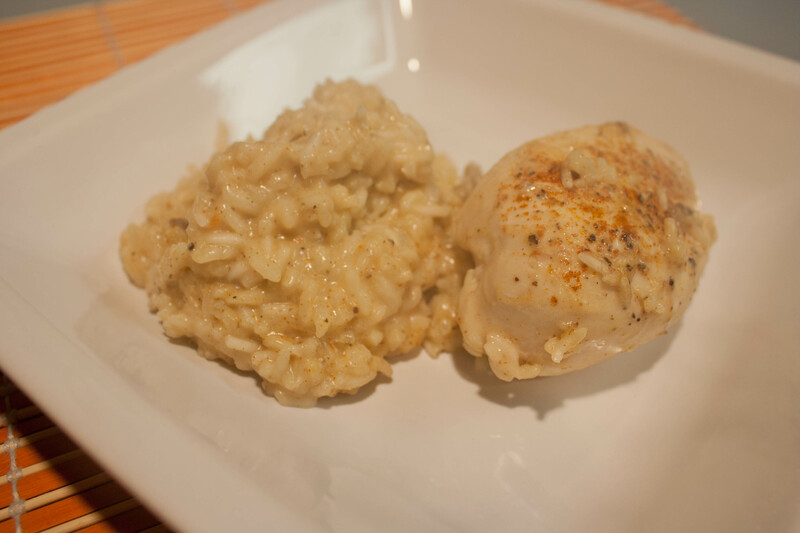 You can use cream of chicken or cream of celery and it turns out great. I’ve done both. It’s also nice that it’s one dish. I mix everything in the baking dish and call it good. Makes for easy clean-up. 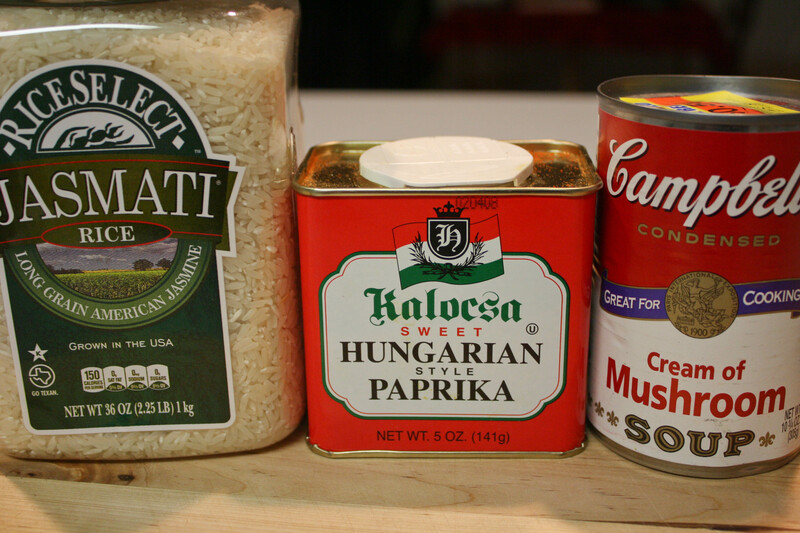 I suggest adding a lot of paprika, of course to your preference, but the more you use the more flavorful it is. I baked it for about an hour and it was done. You know it’s done because it’s not liquidy anymore and the rice is cooked. While we ate dinner we watched a GREAT movie—The Watch, with Ben Stiller, Vince Vaughn and Jonah Hill. It was SO hilarious. We were laughing out loud during the entire movie. Why wasn’t this film more popular? Anyways, dinner was filling and tasty and good comfort food. It’s also pretty low in calories. For dessert we had some eggnog and my GF cookies. It was a great night! I noticed you measured sugar in a liquid measuring cup. that would impact the consistency of your cookies. I’m not sure what you mean. How do you measure? Also, that measuring cup is holding flour, not sugar. http://reluctantgourmet.com/tools/tools-gadgets/item/669-dry-measuring-cups-vs-liquid-measuring-cups The main reason is what Lori said the settling of ingredients and it’s affect on the taste. Weighing dry ingredients is the best way to measure. Since you have a scale you may find it easier to just start weighing, and it’s fairly easy to convert dry measure to grams. Several cooking magazines, like Cooking Light, have started giving recipes in weights. It seems that the Europeans are ahead of us on weighing dry ingredients, as most of their recipes come with weights. I’ve tried weighing dry ingredients and found it does make a difference. Thanks for the links. I will check them out. Oh and I do have those metal ones that are for dry measuring! I do have a food scale in the kitchen and I just don’t use it like I should! 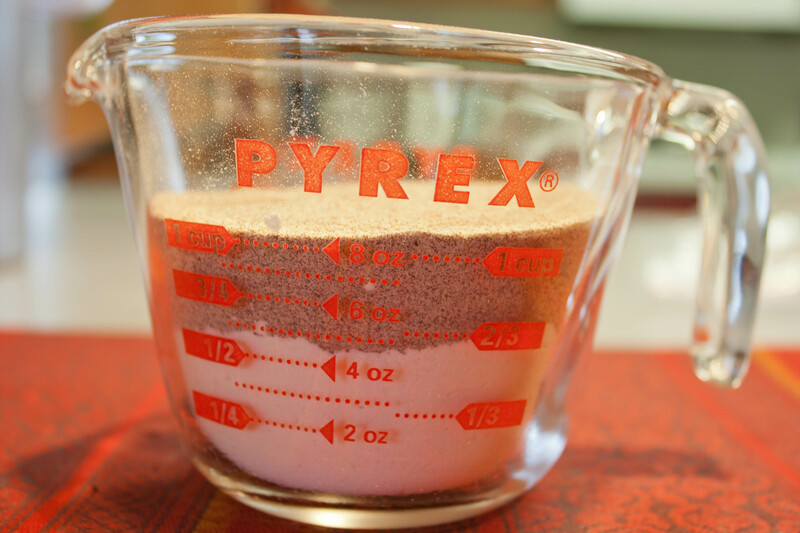 I always weigh my ingredients when baking because flours can compact, so a cup of flour by volume might actually be 1-1/8 cup by weight, which can lead to drier baked goods. I love poached eggs. 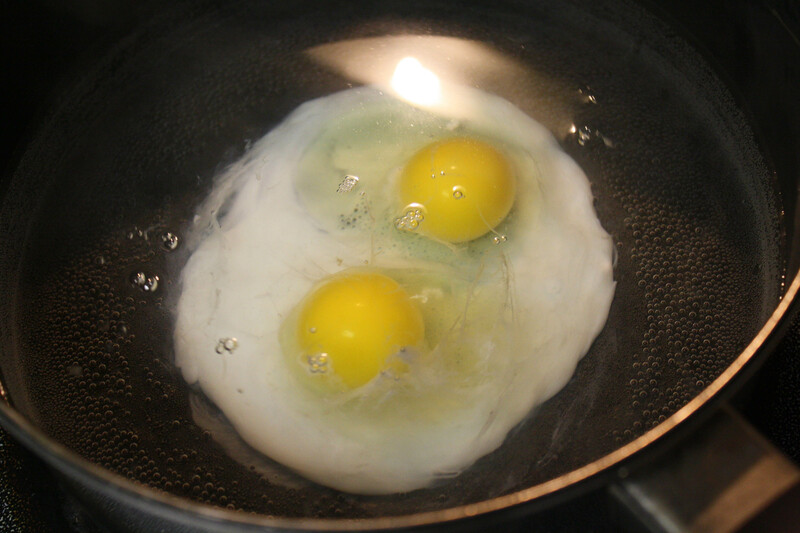 One of my favorite breakfasts growing up was poached eggs on toast! Lori recently posted..Let it snow! Interesting! I will try that next time. Favorite comfort food is probably my grandmother’s meatloaf and some mashed potatoes. I don’t know how she makes it though – never gotten the recipe. We don’t make it very often. I’ve never made meatloaf before. I’d like to try, though. It’s funny because I’ve never actually made it myself. My wife usually makes it, however she grew up with her family adding oatmeal. My grandmother and mom always used bread crumbs. So she’ll usually make two – one with meat and bread crumbs and she makes herself a veggie one with oatmeal. Courtney @ Don’t Blink. Just Run. recently posted..Has Anyone Seen My Mojo? Oh interesting, never thought about oatmeal!